Ecopetrol’s (NYSE:EC) CEO, Felipe Bayon, seems confident on the development of new fracking projects in Colombia, despite the current controversy about the topic. CEO Felipe Bayón explained how the company plans to achieve its ambitious goals in the gas sector. Not only Ecopetrol (NYSE:EC), but ExxonMobil (NYSE:XOM) and ConocoPhillips (NYSE: COP) want to develop fracking pilot projects in Colombia. The oil sector has been announcing agreements and alliances in recent weeks with the aim of reactivating the exploratory activity in the country. Ecopetrol (NYSE: EC) and Repsol (MSE: REP) will develop a new offshore project in the Caribean coast. The Commission of Experts appointed by the Ministry of Mines and Energy (MinMinas) published a 273-page document with its final verdict on the development of fracking in Colombia. Ecopetrol (NYSE: EC) has reported good financial performance in recent years, generating expectations about new investment in oil projects in the country. Felipe Bayón, CEO of ECP, spoke about key issues such as dividends, cash generation, and the firm plans in coming years. 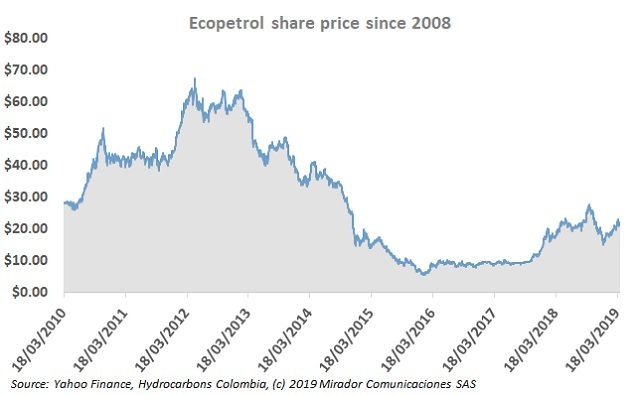 A few weeks ago, the Colombian government, through the Ministry of Finance (MinHacienda), proposed selling part of the country’s shares in Ecopetrol (NYSE: EC). Experts and government representatives continue to discuss this alternative. The development of pilot fracking projects has generated much discussions in the country. 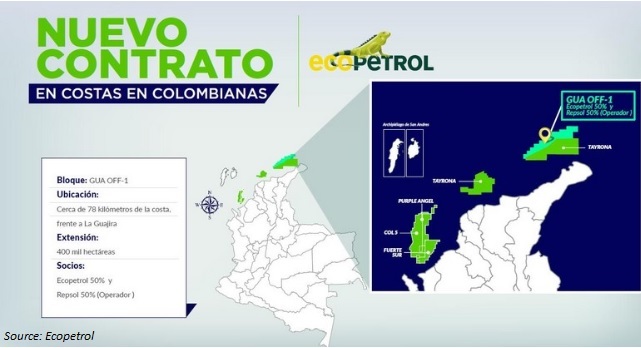 Ecopetrol (NYSE: EC) is continuing to prepare for these projects and announced a new organization specialized in these issues. Ecopetrol’s (NYSE:EC) Felipe Bayón said that the NOC is currently studying the viability of developing more offshore exploratory fields.